As the United States was shrugging off healthcare reforms proposed by the Clinton administration in the 1990s, physician practices faced increasingly complex rules and regulations to secure payment for their work. Traditional fee-for-service medicine was diminishing, replaced by a laundry list of reasons why physician payments could be denied. Providers felt managed care plans and major payers were making it as difficult as possible for physicians to bill and collect for their services. Throughout that decade, physicians’ take-home pay relied on a combination of older billing technology and a large billing office staff that was created and trained for simpler times and reimbursement rules. Moving into the 21st century, complex contractual arrangements, increasing denials, and the need for follow-up pressured groups to hire more billing personnel—at a higher cost—as physician reimbursement came under further downward pressure. More than a decade later, there are more rules and regulations than ever, making specialized resources and robust technology to protect physicians from payer denials and increasing business costs central to financial success. 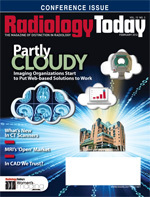 In an effort to combat reimbursement challenges and eliminate operational inefficiencies, radiology groups are employing new tools and tactics to lower overhead and increase payments. 1. Growing focus on outsourced billing: For today’s radiologists, the greatest challenge is securing every collectible dollar at a lower billing cost. This is no easy feat as payment responsibility shifts from institutional payers to patients, whose dollars are more difficult to collect. Thus, many practices are turning billing over to the experts as opposed to keeping it in-house. Outsourced billing services can decrease risk of payment denial or missing earned charges, lower costs, and improve an organization’s bottom line while allowing a practice to focus on delivering quality care. During the past year, nearly one-half of Zotec Partners’ new clients opted to outsource billing operations to the company rather than continue performing them in-house. The cost of collections is a significant component of any practice’s overhead, and the billing function is critical to the group’s success—and survival. Costs inevitably rise as staff compensation increases along with technology and other overhead expenses. Cash collections simultaneously decline due to reimbursement cuts. Fixing this variable cost and employing quality professional billing management resources can be a win-win business arrangement for physician practices. A quality billing company can reduce the cost of billing and improve collections by capturing every charge and ensuring it is paid appropriately. Outsourcing these important functions can result in consistent improvement in reimbursement reliability and cost-effectiveness. 2. Optimize collections from ever-increasing patient responsibility: In an effort to retain profits and reduce exposure, insurance carriers are driving the market to health savings accounts and high-deductible plans, which are significantly impacting the business of radiology billing. As more consumers become responsible for a larger portion of their bills, many practice managers are scrambling to improve the self-pay or patient responsibility balances. Groups need to provide patients with convenient options for making payments. Practices are turning to outbound phone dialers, which are directly integrated with a biller’s phone system. The system makes calls and transfers patients to an automated phone system to make payments or update insurance information with limited human interaction. Although patients have the option to speak with a live person during business hours, automation allows them to make arrangements at their convenience. Patient portals are another increasingly common tool that practices use to make it easier for patients to pay their medical bills. A customized, secure webpage that is accessible via a practice’s website allows a more efficient communication stream between patients and the billing function. This helps practices improve access, eliminate labor, and initiate proactive communication. Patients can review their accounts, update demographic/profile information, and make payments online. Payments post automatically, and a change to a patient’s profile information is readily available for review. Automated phone technology coupled with a patient portal provides the tools essential for maximizing self-pay collections, enabling billers to “touch” patient accounts more often than traditional billing companies using older billing systems. 3. Payer contract management to include working with radiology benefit managers (RBMs): RBMs are becoming widely used by private payers to manage imaging utilization through preauthorization processes. As RBM involvement increases, so does the impact on volume, complexity, reduced reimbursement, and cost to a practice due to preauthorization burdens. In this challenging environment, practice managers must be able to determine whether a practice is getting paid the right amount, quickly appeal short payments and denials, and follow up consistently to keep pressure on claims resolution. With legacy technology and unstructured processes, these tasks are labor intensive, subject to human oversight, and often result in lost revenue. To address the increasing demands of RBMs, practice managers need to put systems in place to verify benefits, check for preauthorizations or reauthorizations, and be aware of the proper CPT code for an exam being ordered. These steps help get more exams appropriately approved and avoid unauthorized exams that may go unreimbursed or become self-pay exams that can be more difficult to collect payment for providing. As payer contracting increasingly requires radiology groups to work with RBMs, expertise on payer trends, proper coding, and what exams are not considered medically necessary will be vital for ensuring facilities are correctly reimbursed for their services. A key component will be making effective use of technology that provides greater success in contract management and collecting from insurance companies. In addition, decision-support software will be essential for completely understanding payment patterns and denial management. Effective systems have the functionality to automatically appeal denials for prompt turnaround, track payment variances from contracts, and provide comprehensive payer analysis through robust decision-support capabilities. 4. Optimizing reimbursement through coding: Most practices lose significant revenue because of incomplete dictation and inaccurate coding. This problem becomes more complicated as pressure to obtain reimbursement pushes practice administrators to do more with fewer resources in an effort to cut costs. Computer-assisted technology appropriately integrated with billing software helps ensure accuracy and optimum payment for radiologists’ work. This technology can minimize denials up front and allow for increased accuracy and optimized payments, especially in the new ICD-10 coding environment, which will increase the number of diagnosis codes by nearly 400%. The capacity to test a code's ability to pass an insurer's review will become particularly demanding with the new ICD-10 codes that require a greater level of specificity—which is often lacking in radiology reports. A good computer-assisted coding system allows a coder to run the selected code through an editing function to see if it will pass. This makes billing more efficient, with a 45- to 60-day window being the standard. Automated coding assistance technology makes it easier to assign codes correctly, which means fewer errors, unpaid claims, and requests to resubmit claims with supporting documentation. 5. Effective use of business intelligence tools to manage the practice: Information is power. In the past, practices generated reports only when closing a month; these reports normally took several hours or even days to process. The ability to look at trends daily so problem areas can be quickly identified can reduce the labor required to clean up issues not addressed in real time. Every practice has databases full of information, but this information is far more valuable if it can be accessed and presented in a meaningful way. Robust decision-support systems allow administrators to proactively identify and manage shifts in modalities, carriers, and volumes to a practice’s benefit. Decision-support software can send alerts to notify business managers and physicians that key statistical benchmarks or key performance indicators are out of line, allowing managers to adjust as needed, ultimately making a practice more efficient and profitable. After many years of tracking and reporting on radiologist productivity, decision support can also now be used to track staff productivity. The inability to monitor and report on staff productivity and effectiveness forces managers to make decisions based on intuition, longevity, or other less measurable performance standards. Managers need to know what each employee is producing. The revenue cycle and practice management challenges facing physicians today continue to grow more complex. Understanding how to leverage enhanced technology and specific expertise in medical billing is essential for optimizing income, minimizing costs, and providing organized data to support informed business decisions. — Lonnie Johnson is chief operating officer and Taylor Moorehead is a regional partner in the west region for Zotec Partners, which provides medical billing, practice management, and radiology information systems services and software. For more information, visit www.zotecpartners.com.